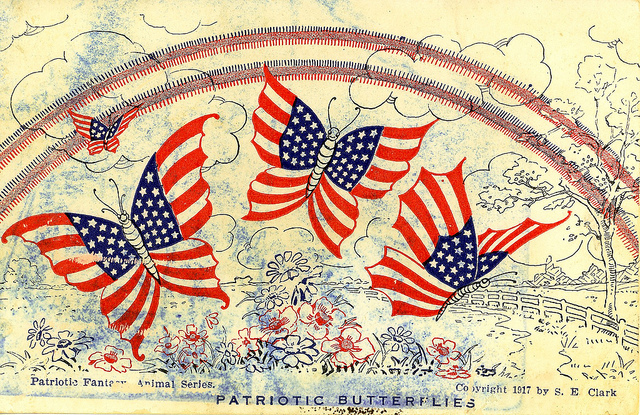 “Patriotic Butterflies,” a World War I era postcard, circa 1917. Via: Woodrow Wilson Presidential Archives. Venezuela’s December 6th legislative elections have led some to peg Nicolas Maduro as a “curious dictator” for his ironic embrace of democracy and the constitution, especially in light of the recent worries that he’d rigged the elections by jailing opposition members, falsifying charges, and inflaming political tensions. 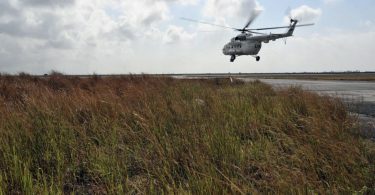 Are counter-ISIS operations masking what’s really going on in the region—a contest between the global North and the South (or East and West) to establish the new regional order? This take on the potentially pre-planned nature of the Turkish shootdown of a Russian Su-24 aircraft suggests something other than counterterrorism motives may be at work. On the other hand, if defeating ISIS is the priority, why hasn’t the United States started to make long-standing sponsors of terrorism (like, ahem, Saudi Arabia) pay? Or, would getting rid of the House of Saud pose an even more precarious security situation? The various strategies being used to constrain ISIS’s influence have included shutting down social media access—by the firms that run them, like Twitter, and security agencies, but also by Anonymous, who launched an online and “real world” day of mockery directed at ISIS this past Friday. Note that this is not the first of Anonymous’ counter-ISIS operations; the group started a “war” against the Islamic State after last month’s Paris attacks and maintains several operations against the group. 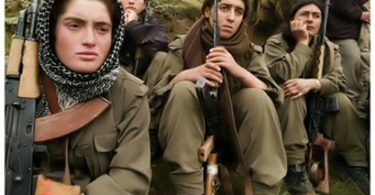 Some scholars are beginning to question the impact of these efforts, however, given their analysis of the relationship between voicing support for the group and how many country residents traveled to fight with the group. In the absence of quantifiable micro-level data, many scholars find themselves relying on aggregate, macro-level indicators for social and political phenomena—but that may soon change. Esther Dyson is fostering the emergence of a “Quantified Community” movement that seeks to enable communities to measure themselves—their schools, infrastructure, institutions, and the like—through a variety of developmental, independent data analysis tools. New York is on the leading frontier of this distributed and extensive data exploitation. Not only has the city already implemented a “Domain Awareness System” that links more than 10,000 public and privately owned surveillance cameras in Lower and Midtown Manhattan, but is also using wireless sensors to help monitor the urban human footprint. And lastly, in case you’ve been making efforts to sharpen your methodological chops like I have, read this post by Chris Blattman about the increasing methodological rigor with which experimental design is employed, and the effect he expects it to have on the number and quality of social science experiments, their generalizability, and the new thresholds it will generate for publishing experimental research. Wonderful that this long overdue question is given some attention. Although surely US diplomats have options besides regime change in their toolbox, don’t they?